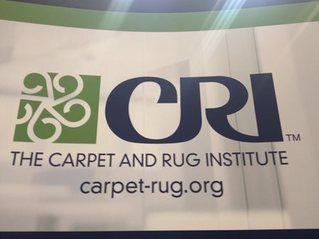 There are a number of carpet cleaning tradeshows across the country each year and if you’re a carpet cleaning professional, it can be a huge bonus to your business to attend the shows. If you have never made it to a carpet cleaning show and aren’t sure about attending, we have teamed up with Craig Kersemeier of K-Tech Kleening, a Seal of Approval-certified Service Provider, to bring you the top four reasons you should attend a cleaning tradeshow. A major portion of cleaning shows are the different seminars and classes that are available for attendees. Kersemeier also mentioned that there is only so much education and learning that can happen online and that these classes offer an interactive, hands-on experience. Another benefit of cleaning shows is the number of other cleaning professionals to network with. Many of the exhibitors at cleaning conventions are there to showcase the newest in cleaning equipment technology and this offers professional cleaners the opportunity to have a first-hand demonstration with the newest products and technology. Other exhibitors on the show floor include businesses with products to help you manage and advance your business. These include accounting and marketing software products that Kersemeier says can really help your business. Kersemeier adds that the shows are a great experience and, if you’re in the industry, it’s to your benefit to attend. Take it from a pro. If you’re a carpet cleaner looking to take your business to the next level, attending a carpet cleaning convention just might be for you.